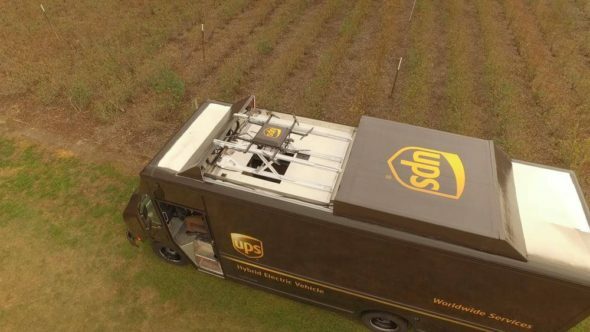 The delivery via drone dream is a cool idea but has many hurdles to overcome. The biggest one is the range of said drones. 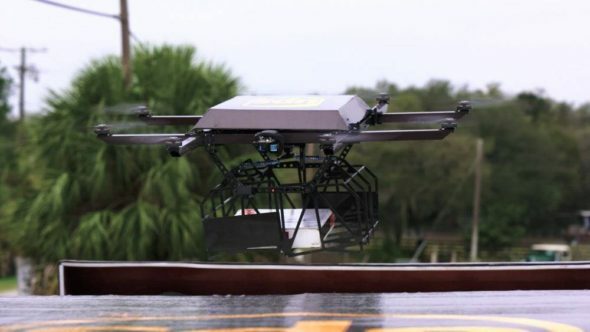 I don’t imagine we will see drones delivery from warehouse to homes/businesses anytime soon. With that said, UPS’ latest approach seems like a great idea. 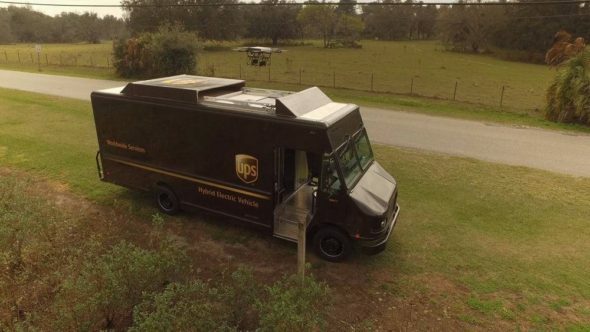 The plan is to have a drone mounted on the roof of the UPS truck that does out-of-the-way deliveries while the driver continues doing their normal route. When the drone has delivered the package it comes back to the truck and lands for new packages and charging. Genius. 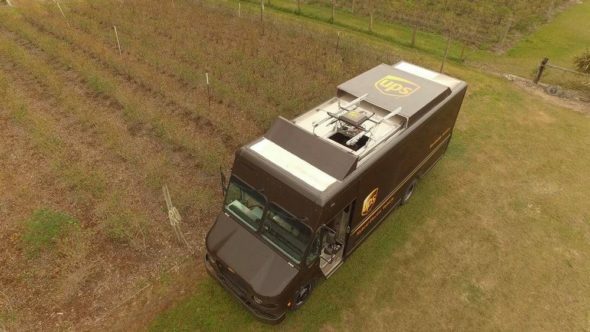 For some perspective, if UPS cuts drivers routes by just one mile per day they would save about $50-million per year. The 8-blade octocopter they used for this test was the Workhorse HorseFly and it can carry packages up to 10-lbs with a 30-minute flight time. Video of the UPS Workhorse system after the break.